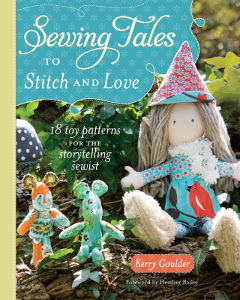 Exclusive Interview & Giveaway for Sewing Tales to Stitch and Love! 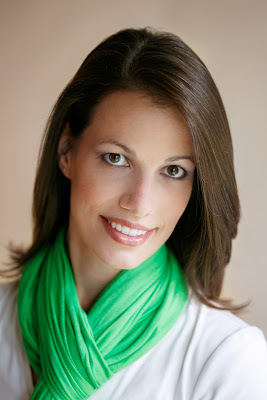 AllFreeSewing is so excited to have Kerry Goulder, creator of Kid Giddy to talk with us today! In addition to running a blog, shop, and more, Goulder is the creative genius behind the new book, Sewing Tales to Stitch and Love: 18 Toy Patterns for the Storytelling Sewist, which was just released this year. True to its name this book offers a fantastic journey that any imaginative sewist should take. See what Goulder has to say about what inspired her to create this collection, the challenges she had while creating it, and more! When you’re through reading, find out how you can win your very own signed copy of Sewing Tales to Stitch and Love: 18 Toys Patterns for the Storytelling Sewist. 1. Sewing Tales to Stitch and Love is your first sewing book. What inspired the topic? Everything we do in life has a story behind it. I wanted to capture some of the stories from my own life in a fun and meaningful way for my kids, to have and share later in their lives. I knew I wanted to write a story to go along with each pattern, and wanted the book to have the appeal of an old (but new) story book to be shared with loved ones while making their projects or giving them. 2. The variety of characters and elements in this book is incredible; do you usually design with someone specific in mind to give the toy to, or do these creations come to life as you sew? Many of the patterns have been inspired by different people, places, or times in my life, as well as from my dreams. Some patterns have also been inspired by trends popping up all around, like the hot air balloon. I have never been in one and probably never will, but the beauty of them floating in the wild blue yonder is certainly tempting. 3. Do you have a favorite toy from this collection? I’m not sure I can pick a favorite. I tell my girls that it’s not nice to pick favorites because it could make others feel left out. I will say that although some are easier and quicker to make than others, it doesn’t always mean I love those more. Many of these patterns I have held onto for years in the hopes of putting them all together in one book. 4. What was the biggest challenge for you while creating this book? Keeping the family, church, and life balance was by far the hardest challenge. There were many days I woke up and fell asleep crying from the stress of deadlines and the feelings of being unbalanced in my life. I wondered often if I was doing the right thing, but couldn’t throw in the towel. I’m a perfectionist and wanted what was in my head to show in the book. For me that meant not just one gnome, but four, not just one mushroom or buoy, but multiples of each. I didn’t want the photos to be limited to single samples, so I made a ton of extra pieces for many of the patterns. Looking back, I wouldn’t do anything differently regarding the book or the samples, but would def bring in a sewing helper to help balance my time with my family. 5. Do you have any creative role models? Other than my retired art teacher mom and my twin sister artist…there are a few designers I have kept tabs on since learning about them many many years ago. I discovered Heather Bailey and her invention, the Trash Ties™ when I invented the Tuck ‘n’ Go™. At the same time, I found her Nicey Jane™ and Pop Garden™ fabric lines which I still hoard in my studio. Around that same time a friend had told me about this fabric she saw recently and thought I’d like it. It was Amy Butler’s Midwest Modern™ fabrics, and yes, I hoard them too. In the past few years I’ve discovered SarahJane – she’s such a sweetheart and her fabrics are equally hoarded here. All three of them have inspired me for years to find my own voice. 6. Do your kids have a favorite toy that you’ve made (either from Sewing Tales to Stitch and Love or otherwise)? They love all of the patterns but the Gnomes are most loved by all. When working on new patterns I don’t make anything with muslin (I guess you could say it annoys me because it is a boring color). I make all of my samples and patterns in beautiful fabrics, so my girls get to keep any “misfits” and love them despite their quirks! When a pattern works the first time, they are sad they don’t get to keep it. 7. In terms of being a published designer, what’s the best advice you’ve ever received? I think the best advice I have ever gotten as an artist (not just a published designer) is to be true to myself. There are so many ideas out there, and so many artists are being copied left and right. We each have something to offer without having to copy someone else’s work. Learn new skills and techniques, but stay true to you and your own style. Be original so others can’t help but notice. Thank you, Kerry! All of the editors at AllFreeSewing are beyond excited about this treasure trove of toy patterns. If you’d like your very own copy of Sewing Tales to Stitch and Love: 18 Toy Patterns for the Storytelling Sewist, we’re giving away a copy! Even better about this copy? It’s signed by Kerry Goulder herself! Enter once a day, every day until December 16th! Best of luck to everyone! Tell us, what was your favorite toy when you were little?